Well it has been a while since I last blogged and if you were following us through Ecuador in February you may remember that on our last day there we found a property to purchase. After much deliberation a long negotiation and months of emails back and forth between the owners, us and the lawyer we finally closed on the property and the four of us are now the proud owners of a huge remodeling project in Ecuador. My Mother has put her house on the market in Santa Fe hoping to get a sale and begin her transition to Cuenca while Bob has been busy tidying up his ranch and getting it ready to list as well. Mom and Bob were not able to return to Ecuador this trip, so Rod and I volunteered to go in June to meet with the architect and go over the ideas we have for the property and discuss the plans. First we drove to Houston and visited with Rod’s Mom and Dad and his sister who came in from the U.K. After staying a day in Houston and trying to revive after a thirteen hour drive, we were off to the airport to catch our flight. Although we arrived at the airport in plenty of time, apparently we forgot about June being one of the busiest travel moths of the year. The lines to check in and go through security were as far as the eye could see. It was becoming very apparent that we weren’t going to make our flight in time. Just when we thought it was all over an airline agent stepped up and asked if anyone was trying to catch a 9:00 am flight, we immediately raised our hands and were sent to another terminal to check in. When we arrived at the kiosk in the next terminal nothing went right. Our passports weren’t in the system, our luggage was seven pounds over the weight limit costing us an extra $50.00 and the agent had to keep coming over and entering codes to get us through the system. Isn’t traveling a joy? We finally caught our flight with minutes to spare and headed to our first stop in Panama City Panama where we would have a seven hour lay over (Yikes!) before catching our connecting flight to Guayaquil. The Panama airport wasn’t at all what I had imagined. With Panama being such a large cosmopolitan city I thought that the airport would be a lot bigger than it was. There were only thirty seven gates and one restaurant and a Subway sandwich shop. In fact the airport looked more like a mall than an airport. There were small stores everywhere selling everything from hi-end cosmetics to electronics. There were several stores selling nothing but chocolate and there were even designer clothes, shoes and big screen T.V.’s. Rod wondered if people actually bought these T.V.’s and carried them on the plane. We did see someone carrying a smaller one. 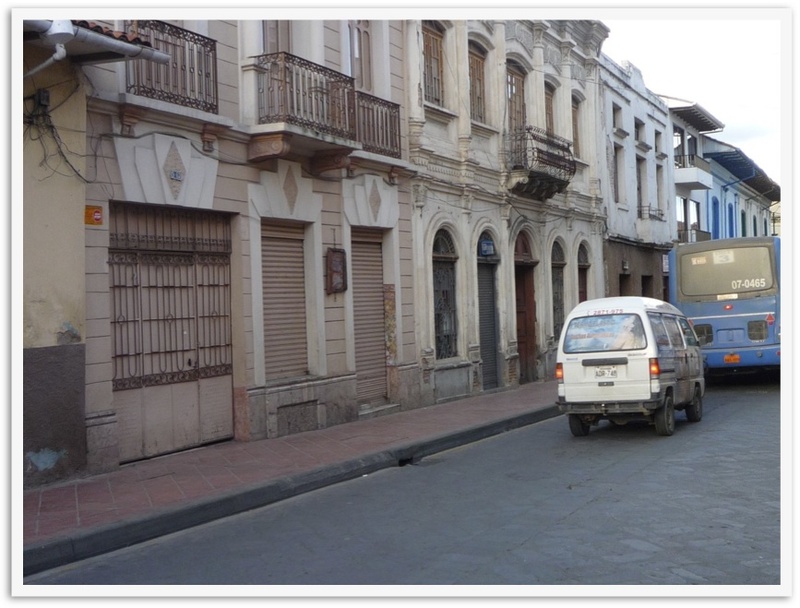 After our lay over we boarded another flight to Guayaquil where we would spend the night and in the morning Carlos our driver that we used for our February trip would pick us up the next morning and drive us to Cuenca. The flight to Guayaquil was quite nice and the airport was a breeze to go through, nothing like the airport in Quito where we landed last time. Our hotel sent a shuttle driver to meet us at the airport and he was waiting on us when we landed. We finally arrived at our hotel a little before midnight. Rod was quite disappointed that there were no “Ladies of the Night” to meet us this time......NOT!